I was doing one of the long distance swim training practices that I’ve been writing for my triathletes yesterday, and the main set called for a 1,500 yard aerobic swim. It was a recovery week, so I thought a longer swim would help work out the kinks and help to build technique and fitness without causing further breakdown. Unlike many of the triathletes and many of my Total Immersion colleagues, I’m not a fan of distance swimming. I always focused on middle distance stroke (non-freestyle) and individual medley swims during my competitive days and I still lean to those events at Masters competitions. My problem with doing a straight, aerobic, 1,500 yard swim is that it is so freaking boring! 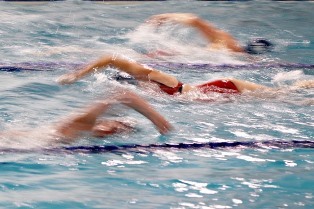 So when I wrote the practice for my triathletes, I used some of the techniques that we Total Immersion coaches use to keep our swimmers both mentally and physically engaged in their swims. The best part about it is that I didn’t lose count because I was able to break things up into chunks. By changing the focus of my attention, I was able to keep on task and it kept things changing as I did my swim. 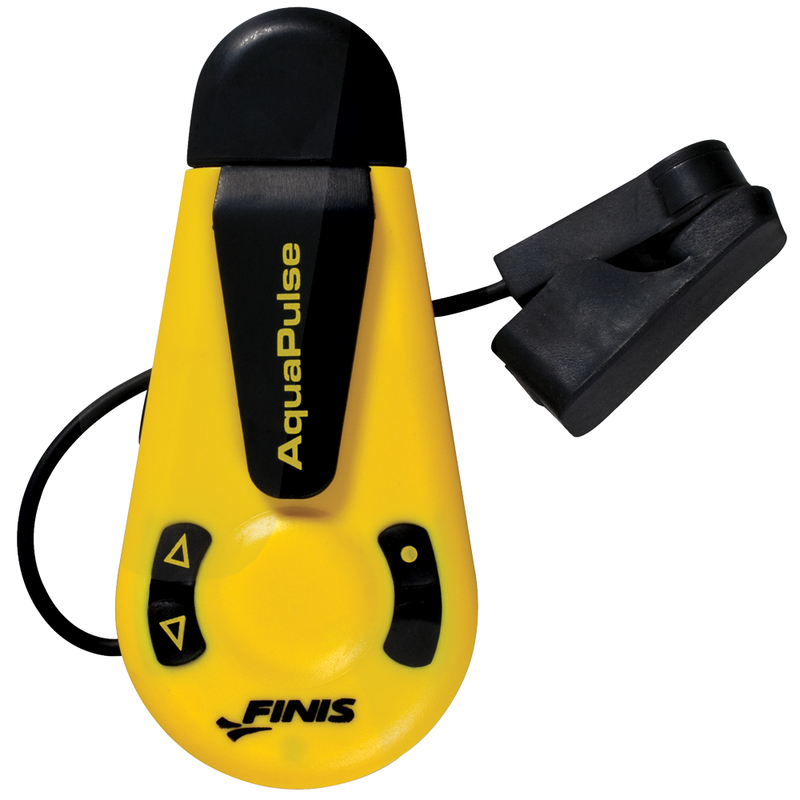 To further make the set interesting, I clipped an Aquapulse Heart Rate Monitor for the pool by Finis to my ear lobe. The Aquapulse would call out my heart rate every 20 seconds to make sure I kept my heart rate in an optimal aerobic range — 121 to 131 is my target range based on fitness and age. Hearing a nice gentleman’s voice tell me my heart rate at least 1 time per length gave me some additional feedback on my intensity level so I didn’t swim too fast or too slow. Maybe I’m not wired for distance freestyle, but I think my way is a little bit more fun, accomplishes the task, and doesn’t make me wonder if I did 56 lengths or 64 lengths. See you at the pool or lake.